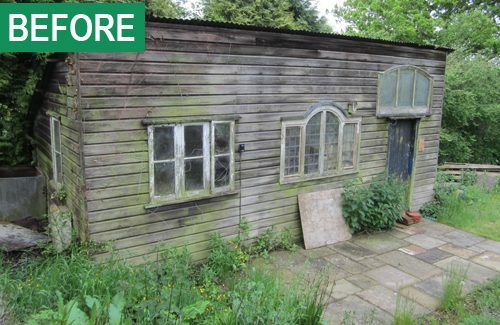 Over the years we have developed quite a passion for old buildings, and odd sheds. 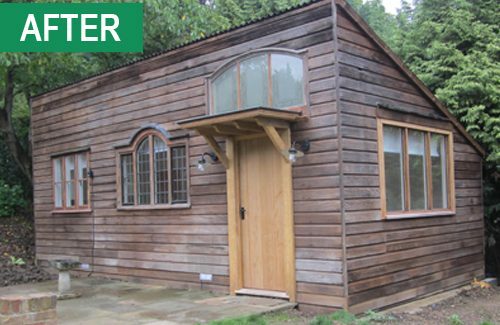 Whether tumble down and past their best, or just in need of an update, it is amazing what can be done with an old building. 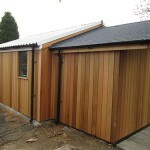 Amazing too, the number of uses our customer's find for their outbuildings and garages once refurbished. Offices, studios, gyms and living rooms - the only limit is your imagination! We have developed little tricks of the trade that really make the most of what you have. 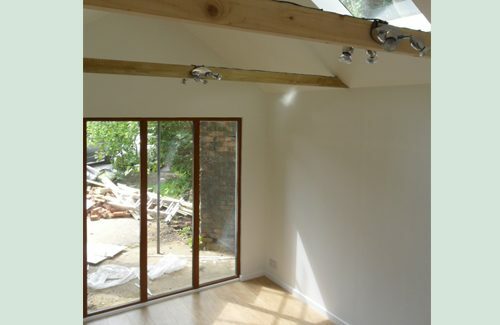 A dormer here, mezzanine there, skylights and windows, doors and partitions and all of a sudden you have something amazing! 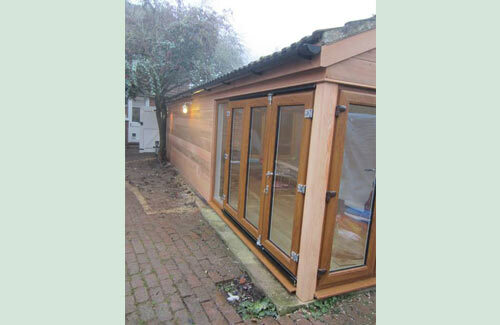 We really can convert your outbuilding into something much more useful! 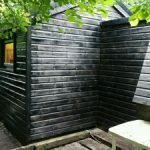 We can hide unsightly concrete walls with rustic timber cladding, or replace rusty old roofs with cedar shingles or reclaimed tiles. 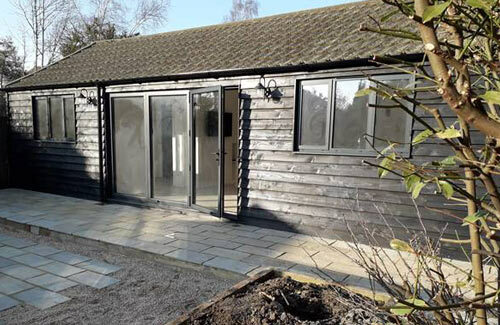 From aesthetic improvement to brand new places to enjoy, by improving your old buildings you will be investing in your property as well as benefiting from an under used resource. 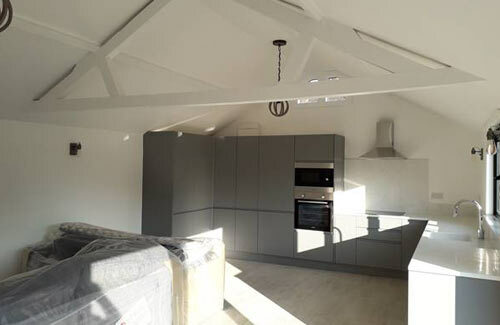 A typical refurbishment would start with a site visit and building inspection to establish it’s condition, and discuss plans for its refurbishment and future use. During the inspection we will look at the structure of the building, it’s foundations, overall condition, and suitability for its change of use. 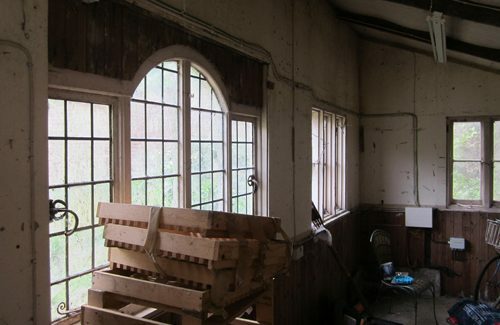 It is unusual for a building to be in such poor condition that it can’t be refurbished, but on occasions it is more economic to rebuild from new, and if so we would advise at this stage. 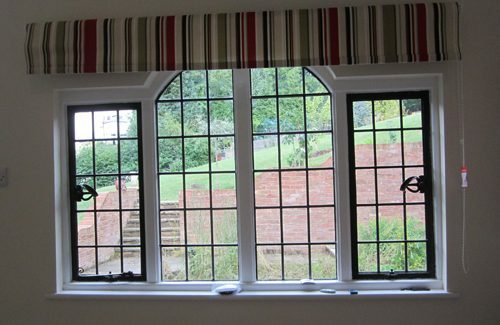 If planning permission is required we can make an application on your behalf if requested. With designs drawn up and prices agreed, work would start in most cases by stripping the building to its framework. 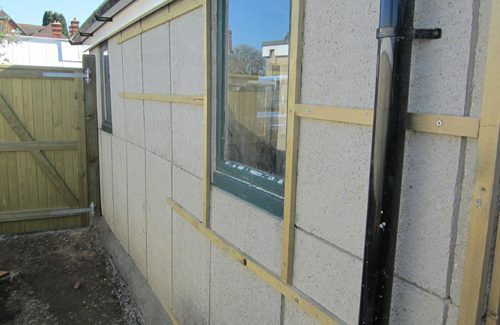 Damp proofing is of utmost importance and the floors, walls and roof would be lined to prevent the ingress of moisture. 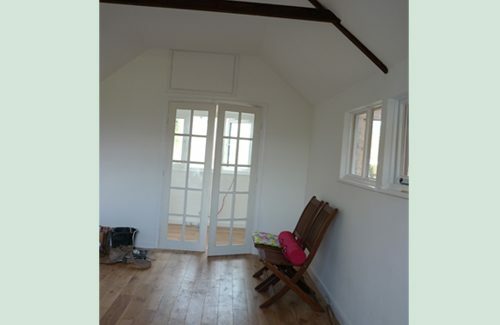 Insulation is again hugely important, and although expensive we always advise as much as your budget allows. 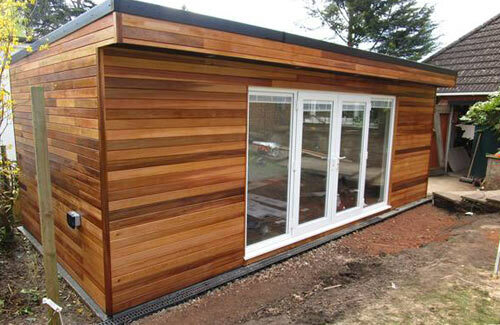 Once done the building is then not only comfortable in all seasons, but importantly, it has greater flexibility of use. 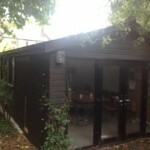 If designed initially as an infrequently used gym and store room, with good insulation it can easily become a regularly used office without any major alterations. Old buildings will often have low level roofs giving cramped headroom inside. We can lift the roof surprisingly easily to give a high ceilinged comfortable interior which will completely transform the building. 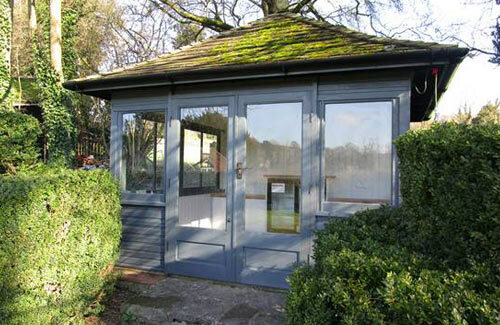 Dividing walls can be removed or incorporated, as can windows, doors and any number of facilities. Interior finish and decoration varies greatly from project to project. 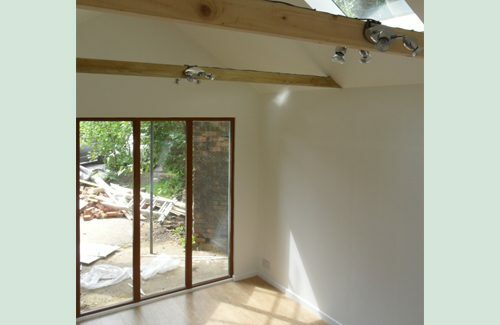 Most frequently walls would be dry lined, skim plastered and decorated to the same standard as those in your house. But we can match the finish to the building’s use, ranging from plain and functional to grand and luxurious – all it takes is imagination! Call today on 01189 842555 to arrange a site visit and see how we can help you. 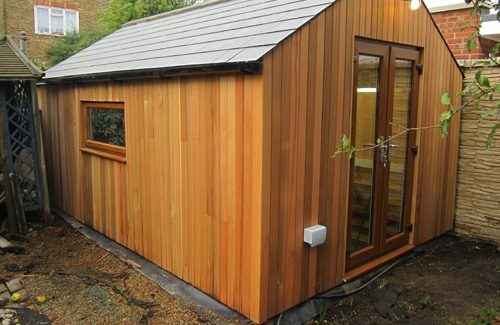 A basic garden shed that we insulated and added a connecting passage to a second smaller shed to give the client a well insulated office with adjoining cupboard for file storage. 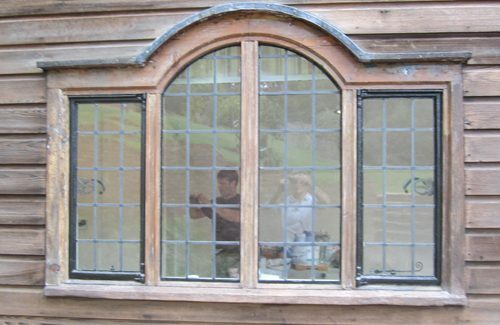 Can we help improve a less attractive feature in your garden? 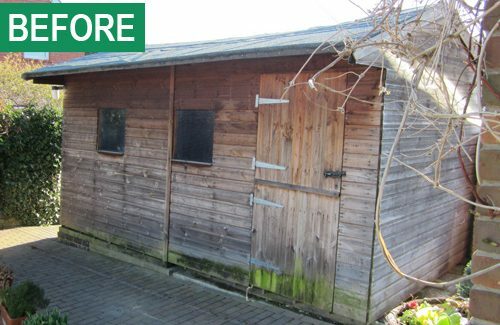 One of our first spring jobs has been to improve the appearance of a garage at the bottom of an enthusiastic gardener’s property. 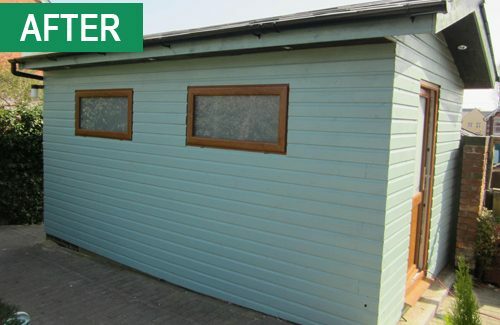 This looks like one of our brand new garden rooms, but is in fact a refurbished garage. Hidden behind the cedar cladding are the old concrete panels. 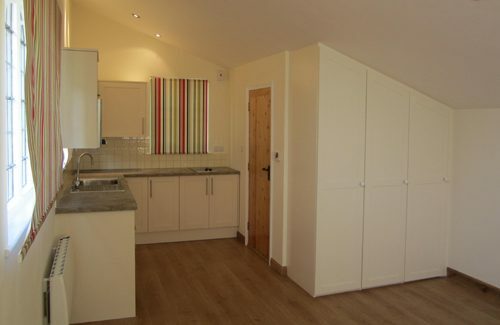 The roof was raised and walls floor and ceiling insulated to a high standard. 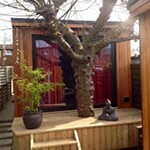 We even managed to accommodate a precious old apple tree! 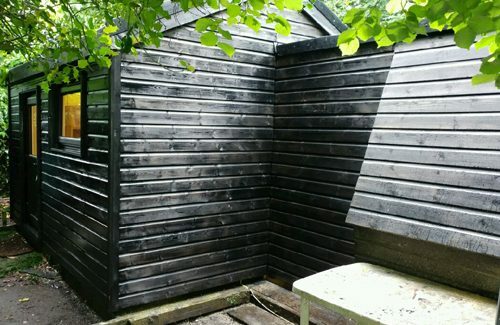 Black buildings seem to be becoming more popular and this one looks particularly good at the bottom of a long garden in West London. 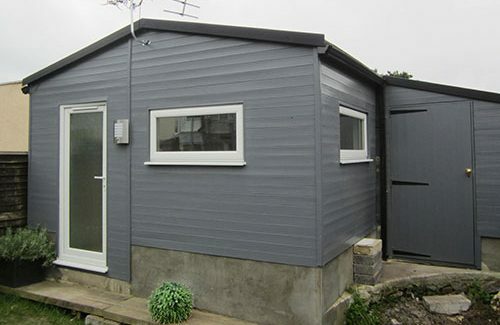 The exterior is clad with painted shiplap timber, and the matching powder coated aluminium doors and windows combine well. 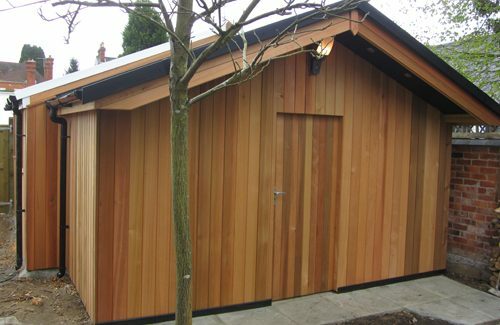 This building is in fact was one of our refurbishments, but if it is the style of your choice we can build from new to the same design. 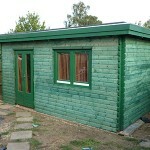 A 2 year old log cabin which we insulated to make it a perfect year round home office. Our clients originally bought the cabin as a comfortable place for them to work from home, so made it lovely and installed two comfortable work stations.